As the title indicates, I am vacationing in area code 805. 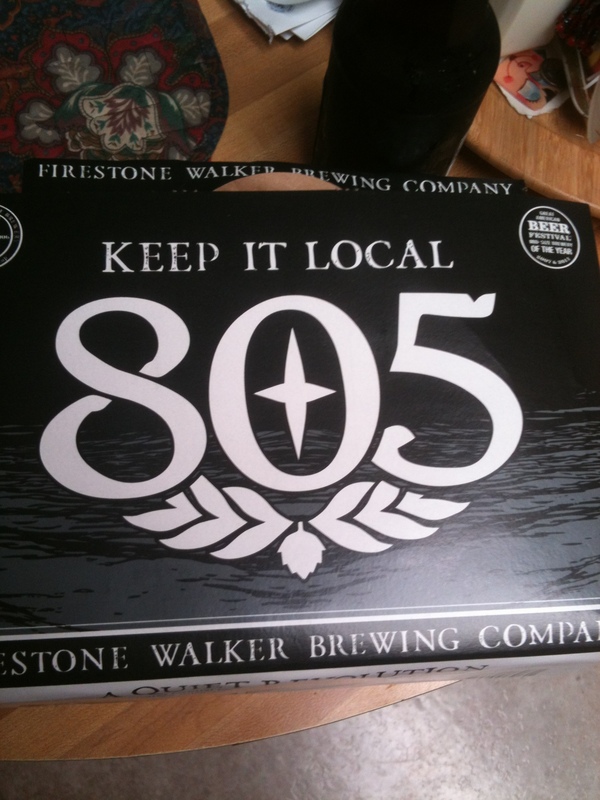 If you have read some of my past posts you know that I am a Firestone Walker Brewery fan. The Paso Robles brewery is making a great name for itself with quality beers. My wife’s taste in beers is developing….maybe that is not a fair statement. Her beverage of choice was always beer, you know, that yellow fizzy water kind of beer. Her very good girlfriend was a help, her father owned the Miller Distributorship in our home town so it was easy to acquire Miller products. Our roommate when we first married drove for Coors and at that time Coors Light was her beer of choice. Roommate Ernie helped me convert an old fridge to hold a 15 gallon keg. Life was good for all of us. Six months or so after we were married, my wife suggested that maybe Ernie should find new accommodations. It was a tough decision. Ernie was one hell of a good cook, not too good at cleaning up, provided lots of beer and paid a nominal rent fee. He laughed when I boke the news – he knew that the time would come but actually surprised that we allowed him to stay as long as we did after the knot was tied. We parted friends and so it remains. Lets talk 805. My wife is coming along on the journey of seeking and sampling better beers with me….in baby steps. There some Blonde Ales that she enjoys, that is until she asks for the calorie count…Just enjoy it Hun. It is a session Blonde Ale that is very drinkable. To that, my wife has sampled it everyday of our mini vacation. She has also had the Blonde from Island Brewing in Carpenteria and her other staple, Blue Moon Belgian Wit. Me, I am abstaining for 12 weeks. I am joining my daughter on a health and fitness committment, which if it goes as planned, I should be hitting my fitness target in 12 weeks. I just have to watch my drooling in the company of beer drinkers to ensure I don’t dribble down my chin. I plan to still help others enjoy good beers as well as craft a blog or two, maybe include updates on my 12 week plan and plan my return to good beer. I do have my coffee vice to help me through the challenges. The bulk of our mini vacation will be in the 805 area code area….a bit redundant but you get the idea, Kathy I am sure will quaff a few more “805’s” and I hope to hell you about it. My son-in-law dined with us last night at a very nice wine bar in Camarillo, Sheila’s Wine Bar…..he drank the 805 along with my wife. He is my favorite son-in-law, a well-earned title! PS – Great food too! My wine loving travel mate and coworker enjoyed the wine and attempted to be discrete using an app to listen to the CFL game between his team from Calgary and the BC team……he did cheer out loud several times! We coached him gently. It I was back to my hometown last week for a consulting job and then spent the weekend visiting family. Bakersfield and beer go well together….when I was growing up it was a case of Coors in the bottle for $5.25! My exposure to real beer didn’t happen until Uncle Sam stationed me in Kaiserslautern Germany. Real beer – they told us when we arrived in country to respect the German beer and not drink it like your Coors back home. Did I listen? No! Did I learn? Kinda! I blame the way the Germans count for some of my learnings. I learned a few key phrases in German like – “Ein bier bitte.” – one beer please. I would ask as well as hold up one finger, most of the time they brought two beers. I knew I said it correctly but I received 2 beers consistently….Why? In Germany and for that matter many other countries around the world the index finger represents 2 – the thumb is the digit that represents the number 1. So, even if my language skills were decent – from a distance in an environment with some background noise, visual cues are stronger! They see the index finger and hear or see me mouth the word bier and two cold ones arrive. Oh darn, I guess I will just have to drink them and practice my enunciation better…wrong…language includes visual cues that cannot be discounted. 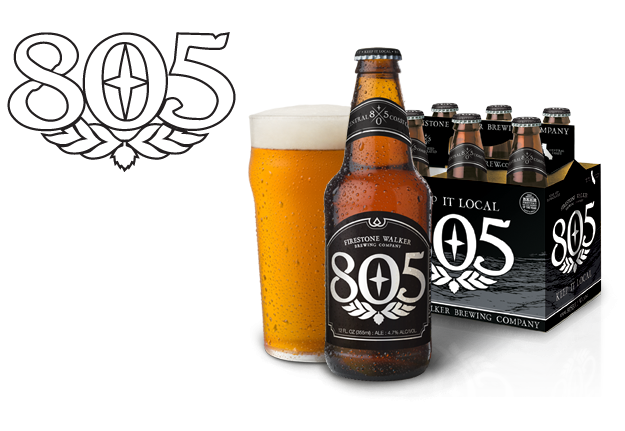 Love it – Keep It Local…805!